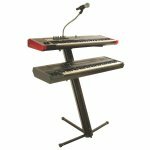 Quantum Core is On-Stage Stands’ first column-style keyboard stand. 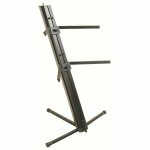 It is a pro level two tier stand with integrated cable management and fold-away captive support arms. Built around a rigid extruded aluminum core, the KS9102 is an extremely stable platform, capable of supporting 125lbs per tier; that’s 250lbs total! Its four arms and three legs provide a broad foundation for instruments, yet fold neatly within the core for transportation...it even includes an adjustable padded carry handle! All parts are completely captive with no loose parts to lose. Whether deployed for performance or folded for transport, they stay attached. 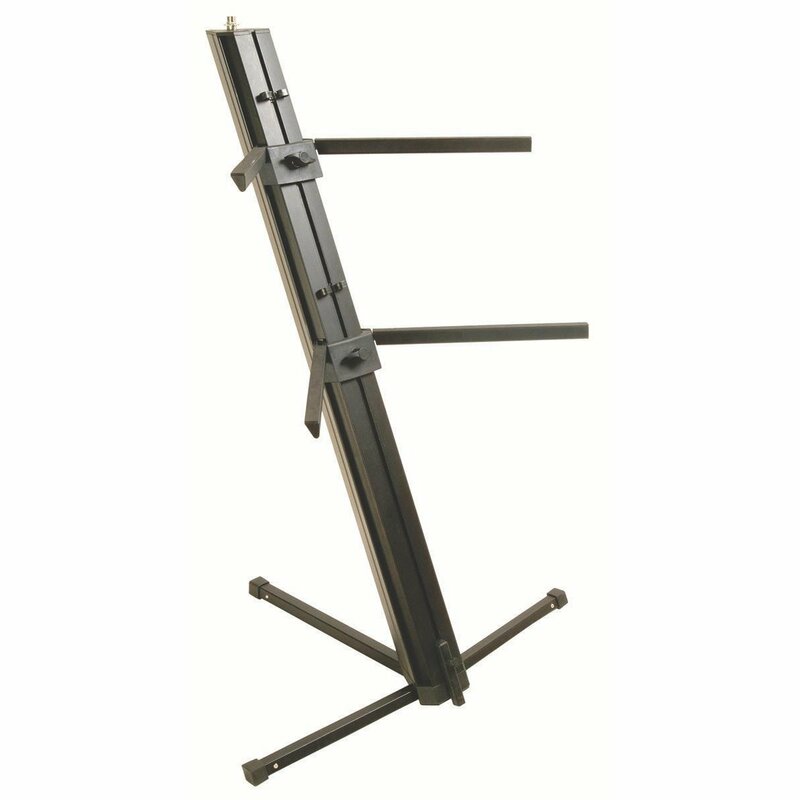 Each of the Quantum Core’s two tiers is independently height adjustable. 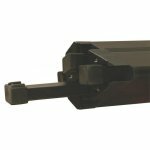 Strategically positioned cable clips accommodate instrument and power cables, resulting in a clean, organized presentation on stage. 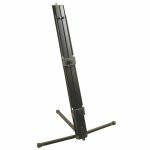 What’s more, the central column features a combination 3/8” and 5/8” threaded adapter at its apex, fully compatible with any gooseneck or boom arm, eliminating the need for a microphone boom stand and allowing the cleanest possible keyboard setup.